Ironwood Electronics has recently introduced a new high performance BGA socket for 0.5mm pitch BGA 169 pin device. The CG-BGA-5027 socket is designed for 7×7 mm package size and operates at bandwidth up to 30 GHz with less than 1dB of insertion loss. The socket is designed with easy open clamshell lid with integrated compression mechanism. The contact resistance is typically 20 milliohms per pin. The socket connects all pins with 30 GHz bandwidth on all connections. The socket is mounted using supplied hardware on the target PCB with no soldering, and uses smallest footprint in the industry. The smallest footprint allows inductors, resistors and decoupling capacitors to be placed very close to the device for impedance tuning. 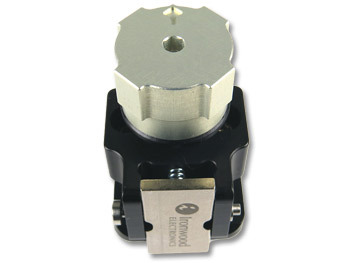 The socket has integrated torque screw for applying proper force for device compression on to elastomer. The CG-BGA-5019 socket is constructed with high performance and low inductance elastomer contactor. The temperature range is -35 C to +100 C. The pin self inductance is 0.11 nH and mutual inductance of 0.028 nH. Capacitance to ground is 0.028 pF. Current capacity is 2 amps per pin. Pricing for the CG-BGA-5027 is $606 at qty 1; with reduced pricing available depending on quantity required. This entry was posted on Monday, October 22nd, 2018 at 12:50 pm	and is filed under Advertiser, News.